A new high-tech exhibit at the National Museum of the U.S. Air Force will allow visitors to step inside the action that marked the beginning of the end of World War II. “D-Day: Freedom From Above” will premiere May 13 at the museum in Dayton. The 3,500-square-foot exhibit will focus on Sainte-Mere-Eglise, the first French town to be liberated, and the 82nd and 101st Airborne divisions that fought there. The exhibit, celebrating the 75th anniversary of D-Day, uses interactive technology called the HistoPad Augmented Visit experience. Visitors can check out a HistoPad table that allows them to manipulate 3D virtual relics and artifacts, see inside of aircraft and virtually “operate” and manipulate a full 360-degree view of equipment. The HistoPad also displays scenes from 1944 compared with how they look today, unpublished photographs and extracts of archival films. 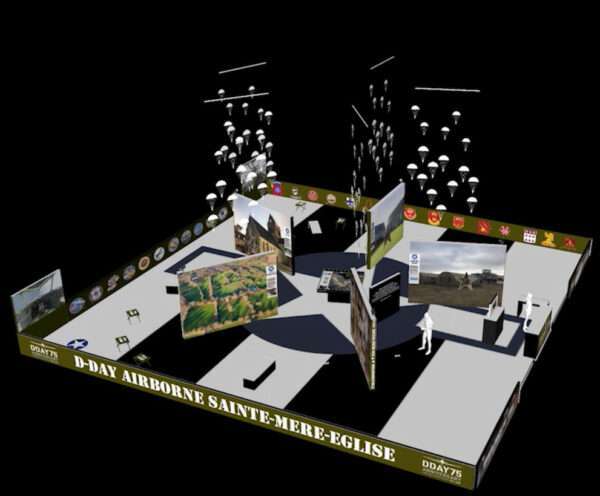 The exhibit, developed in association with the French Airborne Museum of Sainte-Mere-Eglise in Normandy, France, runs through the end of the year. The museum also will host special D-Day commemorative events this spring. Filmmaker Ethem Cetintasalso will speak about and screen his movie “Secret Spitfires” at 6:30 p.m.
Museum admission is free. HistoPad tablet rentals are $5. Movie admission also is at an additional charge. For more information, call 937-255-3286 or visit www.nationalmuseum.af.mil. The rich history of Richland County will be celebrated May 4 and 5. RichHistory Weekend will include activities and events at more than 15 sites across the north-central Ohio county established in 1808. Among the sites participating are Pleasant Hill Lake Park, with a variety of events including tours of Pleasant Hill Dam, gold mining- and panning-demonstrations and self-guided boat tours; and Kingwood Center Gardens with architectural-themed scavenger hunts. Other participating sites include the Richland County Museum in Lexington, Oak Hill Cottage, the historic Ohio State Reformatory and Malabar Farm State Park. Many events feature history for children, and area fourth-graders will receive a “Passport to History” booklet at school. Visiting kids can pick up a passport at any Mansfield Richland County Public Library or at program sites. Kids who get their passports stamped at four different sites will be entered in a prize drawing. The passports also are good for free programs, discounts, more prizes and admission to selected sites. Special weekend events with an additional charges include a Secret City Tour of downtown Mansfield, a Night Haunt at Malabar Farm and a Night at the Museum at the Plymouth Museum. For more information, visit richhistory.org/richhistoryweekend/.